Alice followed in her brother’s footsteps, after hearing good things about the College, and enrolled on the Mechanical Engineering course. She enjoys having a flexible timetable so that she can balance her time at College with independent study and part-time work. 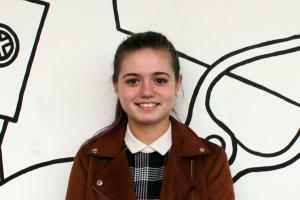 Alice particularly enjoys the theory side of the course and really appreciates the support from the tutors. She commented, “I like that the tutors have industry experience”. Alice’s proudest achievement was progressing to Level 3 immediately after her GCSEs and she is looking forward to her next step: BSc Civil Engineering at the University of Brighton!